In an effort to close the degree attainment gap among adults aged 25-64 in California, the organization California Competes: Higher Education for a Strong Economy has outlined five strategies that they believe will create better pathways for adults to earn their college degree and simultaneously fuel the state’s economy. The recommendations are included in a new report released Wednesday titled “Back to College Part Two: A Policy Prescription to Support Adults Returning to College.” It is the second in a two-part series that proposes policy recommendations to help this group of adults attain degree completion so they can achieve social and economic mobility and succeed in California’s economy. In part one, California Competes found that four million, or 20 percent of adults living in California between the ages of 25-64 have stopped their degree program due to financial barriers, personal obligations and institutional roadblocks. The five policy recommendations detailed in the second report suggest that California should launch a grant program for its colleges and universities to assess, consolidate and streamline existing support services for adult students. Although California has a strong base for providing support services to adult students, over 80 percent of California’s colleges and universities have a campus child care center, the report found. Other recommendations include providing adult students with schedule flexibility, cohort-based course assistance, childcare and transportation services would help increase the percentage of adults returning to college to finish their degree. The report also recommended that California launch a temporary award program through the Employment Training Panel (ETP) that supports upskilling, specifically for adults with some college but no degree, through training that connects postsecondary education degrees to high-demand, high-wage careers. In addition, it recommended that California expand the financial aid eligibility requirements for adults transferring from a two- to a four-year college or university. Eliminating the age requirement to qualify for transfer entitlement Cal Grants, which is currently set to no older than 28 would help adult students over that age benefit from that financial assistance. The report added that California community college districts and other public undergraduate colleges should create policies that temporarily reduce or waive administrative fees, penalties and holds to increase the probability of adult re-enrollment. California should require all community colleges to have an “opt-out” policy for degree conferral, it noted. 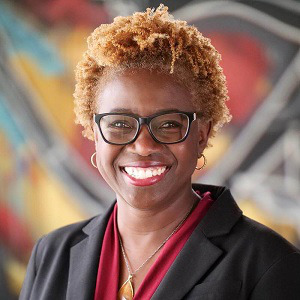 “The criteria for our recommendations were fiscally pragmatism, political feasibility, building upon existing initiatives, improving equity for student populations, and scalability to achieve true impact,” said Dr. Lande Ajose, executive director of California Competes. California Competes researchers and policy analysts evaluated current adult student support programs in place around the country and also considered how existing statewide efforts could be leveraged to better meet the needs of the adult student population. Though the state has made “areas of promise” for adult students, implementing programs such as California Adult Promise Program, Credit for Prior Learning, Regional Reverse Transfer Efforts and Accelerated Cohort Programs, there’s room for improvement, the report noted. In addition to informing its stakeholders and the public about its findings, the nonprofit organization will also hold a briefing in January to discuss the report findings with legislators in Sacramento. “We wholeheartedly endorse change at the institutional level but also recognize the need for systemic, statewide change, and for that to happen, our elected leaders must prioritize adults with some college but no degree as a population in need of specific policy supports,” Ajose said. Several states around the country currently have successful “adult promise” policies and programs in place that are geared towards re-engaging adults. For example, Tennessee recently launched a new tuition-free program for adult students called Tennessee Reconnect which has seen more than triple the demand from qualifying adults than program implementers anticipated, Ajose said. In addition, Wayne State University implemented the “Warrior Way Back” program, which is very similar to the policy recommendation #4 in that it benefits students who have a past due account balance of $1,500 or less. Other states that have programs that have policies similar to the report recommendations include Washington, Indiana, Minnesota, Oklahoma and Maine. A multi-pronged approach to tackle this issue is necessary in order to address the challenge of closing the degree attainment gap at scale, Ajose said. By the year 2025, California will need 2 million more workers with degrees than it’s expected to have. That gap is too large to only focus on traditional college-aged students, we have to think outside the box, Ajose said. “The good news is a key part of the solution is right in front of us. Our policymakers just need to take advantage of it,” she added.